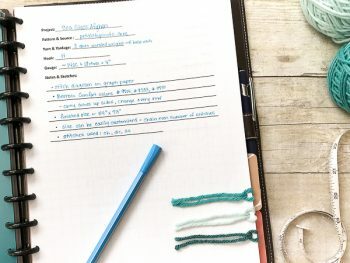 The Crochet Project Planner is a valuable tool for beginner and advanced crocheters alike and is packed with my most used tools and references. 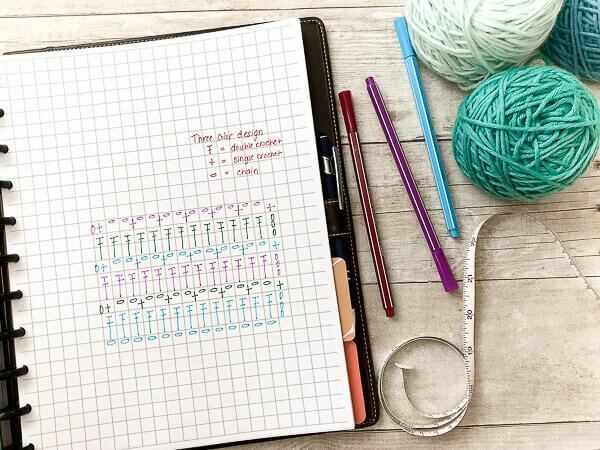 The planner is also completely customizable! 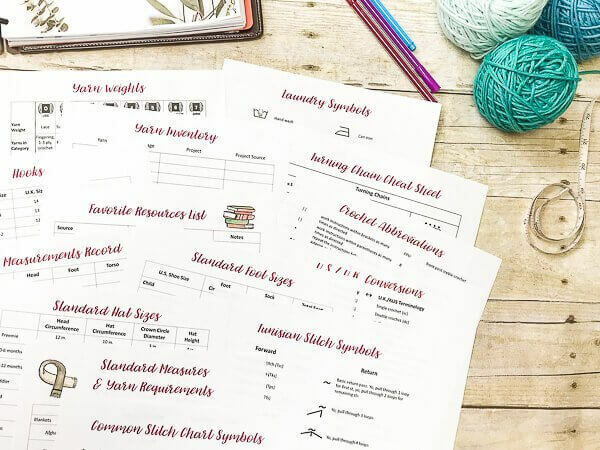 Print the whole planner or just the pages that meet your current needs and arrange the pages in an order and system that works best for you. 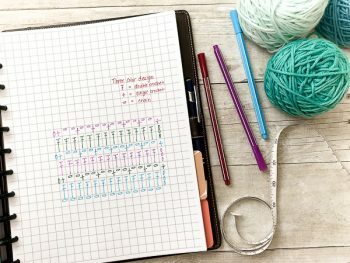 I combined my love of planning with my love of crochet and this printable crochet project planner is the result!! 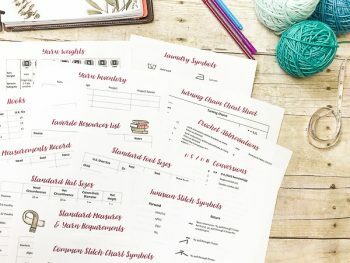 This printable crochet project planner is my go-to reference and organizer for all my crochet and designing projects and it’s packed with my most used tools and references. 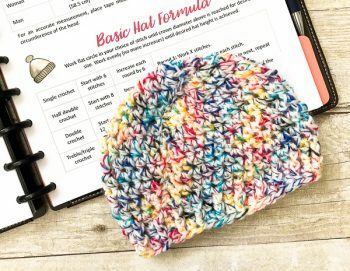 The Crochet Project Planner is a valuable tool for beginner and advanced crocheters alike. 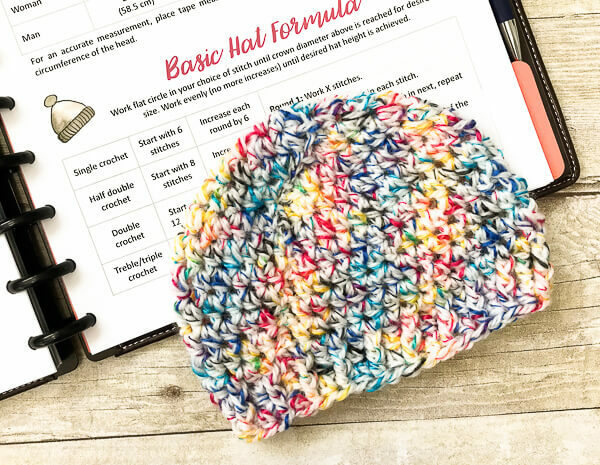 The planner is completely customizable! 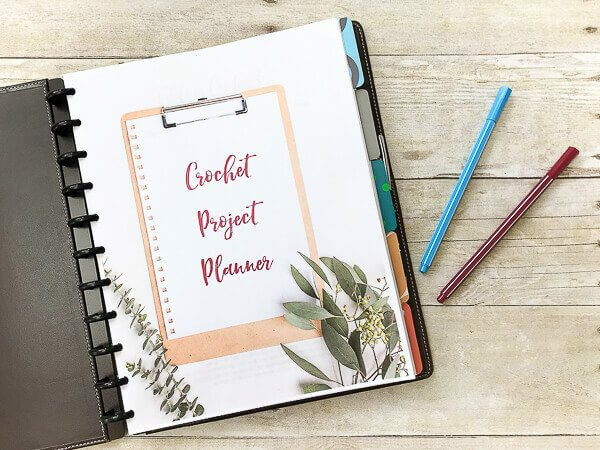 Print the whole planner or just the pages that meet your current needs and arrange the pages in an order and system that works best for you. 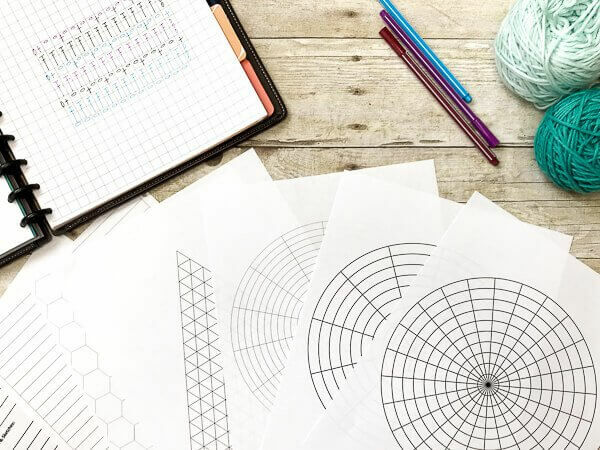 Best of all, new pages are just a print click away providing endless refills for your planner. What’s in Printable Crochet Project Planner? The planner is formatted to print on standard letter size paper of 8.5 in. x 11 in. Margin allowances are set to accommodate hole punching and double sided printing. Perfect for standard three ring binder, the Arc system (as shown here), or you can even print off your desired sections and bring to an office supply store for binding. A .zip file will be available for download once payment is received. Unzip file for planner files. Planner is in pdf format. Adobe Reader can be downloaded free online at www.adobe.com. When printing, be sure to choose Actual Size in the size options of your printer settings. 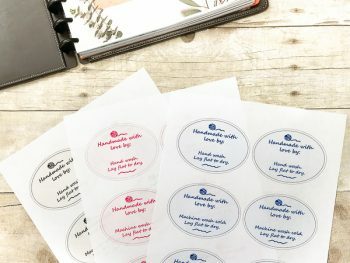 When choosing double sided printing, select Flip on Long Edge. Copyright © 2018 by Kara Gunza. All rights reserved. 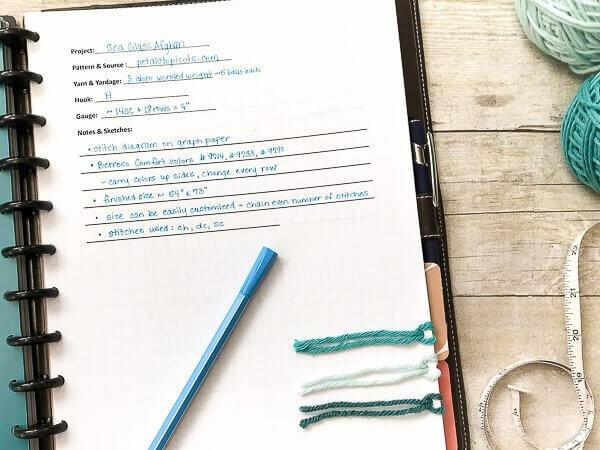 This planner is for personal use only and may only be reproduced and stored for such use. No part may be reproduced for distribution or sale, posted online, or transmitted in any form or by any means. Hi Francine 🙂 Yes, I checked my records and you did order the planner in early June. Download links are sent via email upon checkout and my system shows that the planner has been downloaded so it may be on your computer already. Either way, I re-emailed you the download links so check your email. Hope that helps! Any problems, please email me at [email protected].